When will be Good Bones next episode air date? 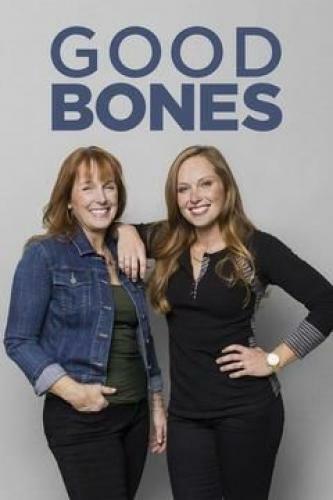 Is Good Bones renewed or cancelled? Where to countdown Good Bones air dates? Is Good Bones worth watching? Mother and daughter duo Karen Jensen and Mina Starsiak are setting out to revitalize their hometown of Indianapolis one property at a time. They're buying up run down homes and transforming them into stunning urban remodels. With Mina's real estate know-how and Karen's no-nonsense legal background, these ladies are unstoppable in getting a property they want and enlisting their family's help with demo and construction. When it comes to exciting new homes in the city of Indianapolis, it all comes down to the ladies of Good Bones. Karen and Mina team up with their friend Josh on a high-stakes property in Fountain Square. What looks promising at first glance quickly turns when during their initial walk-through they find some of the previous owner's pet snakes still slithering throughout the house. The news only goes downhill from there when half the foundation suddenly disappears, but once finished this Fountain Square beauty is worth all the trouble. Mina and Karen take on a massive house in the Old Southside neighborhood that has undergone some unsuccessful renovations throughout the years; their renovations are halted when they hear unexplained noises in the attic. Mina and Karen purchase a home near the Northside neighborhood that's full of historical features; they do their best to design an open floor plan while preserving as many elements as possible. Good Bones next episode air date provides TVMaze for you. EpisoDate.com is your TV show guide to Countdown Good Bones Episode Air Dates and to stay in touch with Good Bones next episode Air Date and your others favorite TV Shows. Add the shows you like to a "Watchlist" and let the site take it from there.